Feel bloated, crampy, and fatigued after you eat bread? It's important to know the answer to "What is gluten?" if you're experiencing these symptoms. Gluten is a protein that causes some people to experience bloating,, cramping, and fatigue. In a nutshell, gluten is a protein that causes some people to feel bloated, cramps, and fatigue. 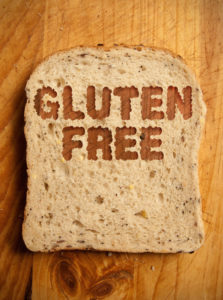 Their gluten sensitivity may lead to a diagnosis of celiac disease (more on that in a minute). What Is Gluten? And Where is It? 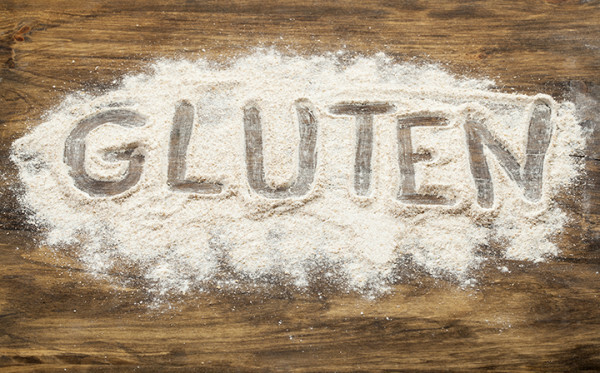 Gluten is commonly found in wheat, barley, or rye—common ingredients in popular foods. You’ll find wheat in breads, other baked goods, soups, pasta, cereals, sauces, salad dressings, or roux. You’ll find barley in malt, food coloring, soups, malt vinegar, even beer. Rye is found in rye bread such as pumpernickel, rye beer and many kinds of cereals. If you and your doctor suspect you have a gluten sensitivity, it’s easy to figure out what to avoid. But in the food world, what is gluten-free? Fortunately for people who have gluten intolerance, there are a variety of items you likely already enjoy that are naturally gluten-free. They include fruits, vegetables, meat and poultry, fish and seafood, and dairy, plus beans, legumes, and nuts. There are lots of tasty, creative ways to enjoy a gluten-free diet—and no shortage of gluten-free recipes for all tastes and all meals. The Celiac Disease Foundation recommends things like oat bran muffins, lox and cream cheese on a gluten-free bagel, a breakfast burrito with eggs, bell peppers, avocado and olive oil. If you’re hosting a party, you can ensure your guests’ gluten intolerance symptoms are properly respected with snack items like strawberries and gluten-free goat cheese crackers, or tomato-garlic focaccia, which relies on sorghum and chopped herbs. Bottom line: If you’re gluten-sensitive, don’t worry about finding foods you enjoy. There are lots of choice gluten-free recipes to choose from. If you think your condition might be more serious, your doctor may suspect you’re suffering from celiac symptoms. The first step in diagnosing celiac disease is usually a blood test to measure levels of certain auto-antibodies produced by the immune system in response to ingested gluten. As a result, it’s important to be eating a regular, gluten-containing diet when being tested for celiac disease; if you’ve been on a gluten-free diet longer than a couple of months, results may be negative—even if celiac disease is present. After that, your doctor might recommend an elimination diet to get at the root of your difficulties. a gluten free diet, beer, breakfast, celiac, celiac disease, celiac symptoms, cramps, dairy, diet, elimination diet, food, garlic, gastrointestinal, gluten, gluten free, gluten free diet, gluten free recipes, gluten in, gluten intolerance, gluten intolerance symptoms, gluten sensitivity, gluten sensitivity symptoms, immune system, nuts, protein, vegetables, what is gluten, what is gluten free. I thought you might be interested in this article on https://universityhealthnews.com: What Is Gluten?